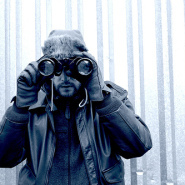 One thing to do in business is to be able to spy on your competition. When you want to succeed, you will want to know how others, especially your competition, are faring better than you. To do this, you have to look for ways to spy on them. Why, do you ask, do you need to spy on your competition? When you do this, you will gain valuable information such as inspiration for marketing, or how you can retain your customers. You can find out what they are doing better than you which you can use as your inspiration. You can then find ways to match what they are doing. If you have plans of your own, then you will be able to improve them with the help of your findings. There are a number of tools that you can use to help achieve your goal of spying. Here are some of them. Ad-monitoring tools such as Adbeat, AdGooroo, SocialAdNinja, Mixrank and Moat. These tools will basically let you see the ads that are being run by your competition. You will be able to monitor their ads and you can even see where their ads are placed and which ones are working well. You will also see ads that they’ve used on social media. Keyword monitoring tools such as iSpionage, KeywordSpy, SEMrush, SpyFu and Google Keyword Planner. These tools can be related to your use of the ad-monitoring tools. You can have a look at the different keywords being used as well as how they are targeting their campaigns. Backlinking tools such as Open Site Explorer, Ahrefs and Majestic Site Explorer can be used in your own website so you can see what sites are linking back to you. You can use this against your competition so you can see where they are back linking to. Mentions monitoring tools such as Google Alerts, Social Mention and Topsy. With the help of these tools, you can see how your competition is getting mentioned all over the internet and also on social media such as Facebook. By using these tools, you can have inspiration on your own business. By knowing how your competition works, you can plan on how you can match them, or better yet, beat them.